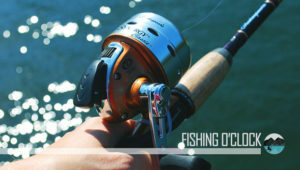 Penn Fishing Industry is the manufacturer of this great reel, and it is one of the best reels for fishing in saltwater. Even though many fishing reels are comparable to this reel on the market, Penn Fathom Lever Drag has distinct features. This fishing reel is one of the tools that you will love to have if you love fishing. 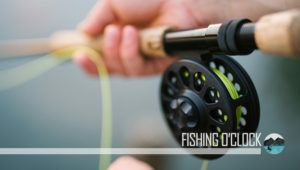 This review is available for you to know what you will be expecting before you spend your hard earned money on this reel. Continue reading this post to see whether you need to buy this reel or not. This Penn Fathom Lever Drag comes in different styles and sizes that you can choose from and they all have great features. Apart from the different sizes that this reel comes with, they also come with higher and excellent drag system. They come with better gears and bearing systems that will make you have a greater fishing experience. This low profile reel comes in 7 different styles and sizes, and these sizes and styles are available on the market in the form of models. The sizes of this Lever Drag are available between 15 to 60, and there are two different styles of them all; the left-hand model suitable for the left-handed persons and anglers. What is more important when buying this fishing reel is to keep your requirement in mind. 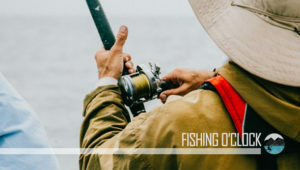 This is because the style and size will affect and improve your fishing experience; with these requirements in your mind, you will be able to choose this reel as the perfect one for you. This fishing reel has a fantastic bearing system that comes with it. The Penn Fathom Lever Drag comes with five shielded stainless steel ball bearings, and the bearings and gears system that comes with it has Switchblade harness lugs, Fluid Cranking, and double dog notch anti-reverse system. 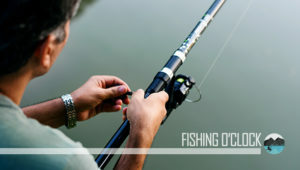 This is to allow smooth operation and excellent fishing experience. Please note that the price of this low-level reel is more than the price of other reels available on the market. However, as you already know, this reel comes in different sizes and styles. This means that the cost varies according to the sizes and styles. The price ranges from $200 – $250, for the smallest and biggest sizes. Penn Fathom Lever Drag does not come with any hard and fast rules for its maintenance. All that is required is to de-assemble and rinse it with water or clean it deeply with cloth and then keep it in a safe place after use. This will make it more durable and sustainable and you can easily manage it. This reel consists of simple instruction that makes its usage very easy. Whether you are a beginner or a professional, using this reel does not require any formal training. You can just operate it with the use of the manual to cast your fishes. This fishing reel has Dura-Drag system present in it. Through various settings, the advance Line Shedding Lug design in the hesitation-free Dura-Drag system makes it impossible for the line to snap off at the reel. 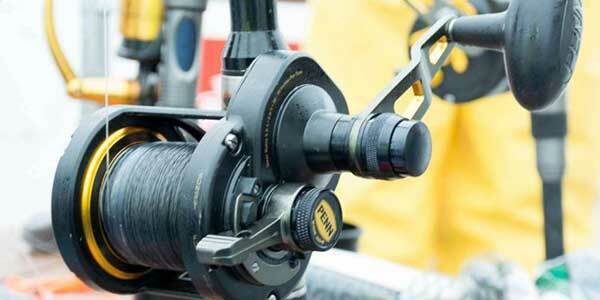 The Dura-Drag system is an essential feature of this reel – that makes it function flawlessly. Penn Fathom Lever Drag weighs 1.34 pounds. Although when shipping, the product comes with a weight of 1.8 Ponds and this is due to the full metal body for packaging. This could trouble beginner anglers because they may find it difficult to handle. Although this reel is very easy to maintain and manage but when it has problem and ready for repair, the cost of repair is much. The parts of this reel are costly and it may not be easy to repair. The Penn Fathom Lever Drag is a heavy-duty fishing reel that provides extraordinary durability and cranking power. It has a full metal body with side plates that are designed from die-cast aluminum; this is to maintain its rigidity. Above all, this reel has a Quick Shift 2-speed mechanism that makes the reel to shift into high or low gear easily. One thing you have to do before buying a reel of this nature is to check the durability, capacity and several other features of the reel. You can check this information either online or from a professional who is currently using this reel. There are different places you can get such information and one of which is the one you just read now. These sites provide provides different useful information about this reel and you will also get to know the pros and cons of this reel to determine whether you will need it or not.